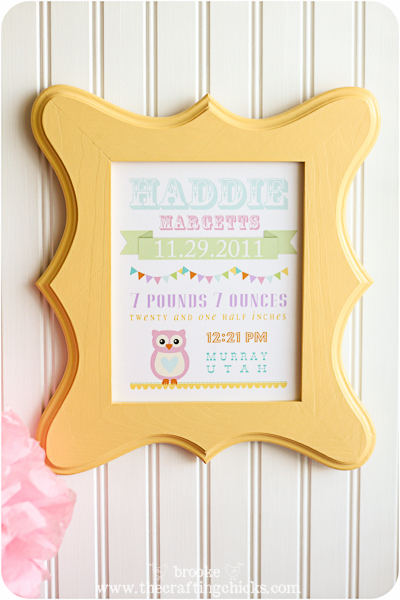 I love this great baby shower gift idea that Brooke created for her brother's new baby. She walks you through how she created the custom baby announcement, even shows you the fonts she used. You can see the tutorial over at The Crafting Chicks. 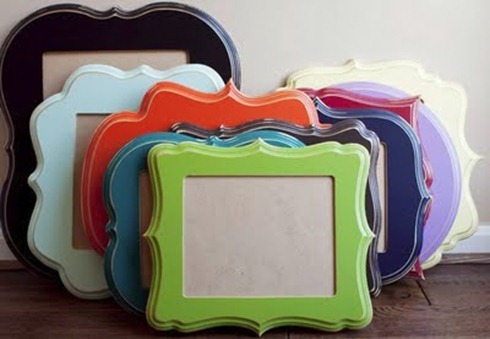 And if you love the trendy shaped frames, even if you aren't making a custom baby shower announcement to go inside, you can buy unfinished unique shaped frames for a great price over at Cut It Out Frames.